This aging desktop unit is one of the last of its kind. 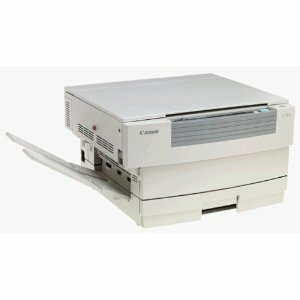 The Canon PC-745 is a stand alone personal copy machine with no multifunctional features and no PC connectability, which makes the device more or less obsolete. Though it is still perfectly capable of making a direct analog copy, one would be better off looking elsewhere for their copy needs. Probably the most unique and bizarre features of this unit is its capability for printing in color. But wait, it’s not what you think. The Canon PC-745 operates using a single cartridge which is actually swappable from black to various single colors. These colors include blue, red, and green which is a very different scheme when compared to the cyan, magenta, and yellow toner used by almost all color laser printers. 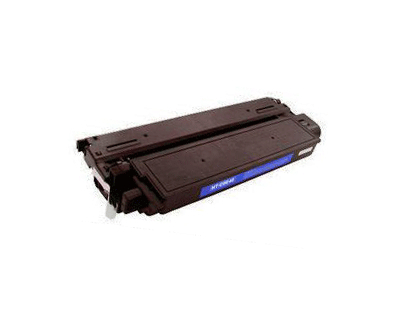 The Canon PC-745 also offers the option of using something that you may not ever see on any other laser printer or copy machine: a brown toner cartridge. Though these functions were unique and innovative at the time and are, in a novelty kind of way, very cool, they have since been long surpassed by true color laser technology, and these single color cartridges would be very hard to find today. The copy speed of this device is unacceptable for any sort of print volume, small or large. With 10 copies per minute letter size and 9 copies per minute for legal sized output, the unit is really only good for making the occasional single copy, and even then a long first page out time will keep users waiting. Canon’s rapid FUSING system does eliminate equipment warm up time, but this is more or less insignificant when considering the other factors involved. The fact that this copy machine utilizes analog copy technology means that only direct transfers are possible and a variety of functions usually seen in laser devices are not present in this machine. First off, the unit completely lacks and sort of PC hosing ability, which means that it cannot double as a printer or scanner. Then there are the very limited reduction and enlargement abilities of the machine that max out at 70% - 141% due to the inability to store data internally, which also means that 2 on 1 copying is impossible. The platen document glass is actually of full legal size, but it can also make copies of objects as small as the standard for business cards which is 2 in. x 3.5 in. Unfortunately, printing can only be done onto standard sized paper such as letter, legal, and A4 sizes, not special media. 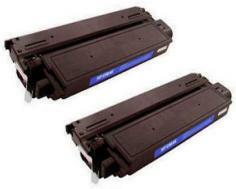 Review it: "Canon PC-745 "
As stated earlier, the Canon PC-745 has one of the most unique laser copying toner setups out there, with a single cartridge that is swappable with various variations in color that include black, brown, red, green, and blue. Unfortunately, these additional single color cartridges are all but extinct, and would be almost impossible to find brand new. Black cartridges are still readily available, however, and offer 4,000 page yields at 5% coverage.